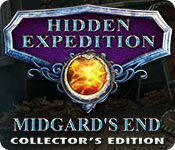 Hidden Expedition: Midgard's End Collector's Edition is rated 4.1 out of 5 by 34. Rated 5 out of 5 by tutortime from Excellent Game ! The is a great series and never fails to be great. Beautiful and interesting scenes to interact in. Good color and graphics. Morphing objects and collectables in the game and the bonus chapter. The CC edition was worth the extra money as its long with all new scenes. Rated 5 out of 5 by riverdiver from The End is the Beginning! Good thing I didn’t put my woolies away yet. After playing Amaranthine Voyage: Neverending Winter I could use them again in this episode of one of my favourite series. Shiver ... The devs did everything to confuse me, and they did it well! I’ve interpreted the sentence „Helen Schumann never reached the hospital“, as Sam said, as „oh dear, she didn’t survive the ventilator sabotage.“ Luckily she DID survive! Luckily? I really really enjoy being thrown into new settings. First Budapest. We find ourselves in a spot overlooking the Danube and the beautiful Széchenyi Bridge. I’ve been there last August - to meet up with another Fishie from the US. This brought back so many good memories. I had to save and quit the game and ponder about these moments. In spite of the pace of the game which reminded me of „Indiana Jones“ movies, fast, loads of action. Then we’re off to Denmark and then even further north. The fact cards, a well known feature in the series, made me take notes and googling items like the Ginfaxi Key, the Svalbard Global Seed Vault, Ragnarok and many more. Amazing how much research these devs do! The biggest compliment: the cheek in tongue humour. As the 008 number plate on the get-away car of the two saboteurs in Budapest or the remark in the sense of „now it’y my turn to sabotage the ventilating system“. Graphics, game-play, HO’s and puzzles were absolutely fantastic! High Fives to anyone involved! Rated 5 out of 5 by MelinRI from A Great Newcomer to the Hidden Expedition series The collection of Hidden Expedition games are all my favorites, and this one is a nice addition - I could not wait to play it. There must be something in them that appeals to my inner spy and makes me want to chase down bad guys. I get to visit all kinds of locations around the world, which is always interesting. The characters are well done - they look like actual people, and they move realistically. 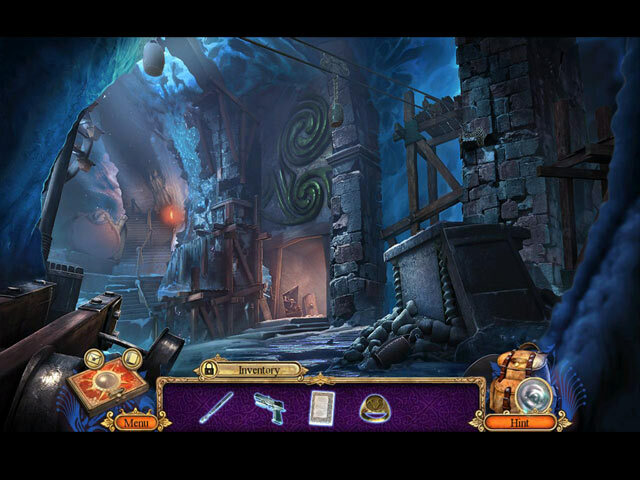 This particular installment features several high-tech devices, such as a memory card reader and a code reader that the player has to find the USB cord for to connect it to the computer - very cool. The HOPs are fun, and the puzzle games are challenging without being so ridiculously complex that I end up swearing at the computer or so easy that they insult my intelligence. The storyline grabbed me from the beginning and has a good plot twist that I did not see coming. I did find myself idly wondering if Sam ever changes his clothes, or if the ones he is wearing all the time are his favorites, or what the deal is with that - but it was nice to see him in something else at the end. Rated 5 out of 5 by ozyrox331 from Another hit game Eipix has put out another great game. Visually and artistically masterful. These folks know how to put together a great game that holds your attention, it is engaging, has a great storyline and is full of little hidden extras. There are morphing items as well as hidden items. In the extra content,if you have missed some items, you can go back and find them. Also, they have collectables you can go find after the game is completed. Difficulty levels can also be customized. Great game for any level of player. Rated 5 out of 5 by sabysab from Great, beautiful game Eipix are generally hit or miss for me, mostly hit. This one was a surprise, it's actually very good, reminds me a bit of my favourite game, Tomb Raider. Great job ! Rated 5 out of 5 by Kay_Erin from Norse gods and mysteries This is going to be short - this is a great game, and kept me at it. However, all of the bad guys in this story were downright insane with hate; H.E.L.P was there to stop them, but I like to have some focus on the good guys, and other choices. like some others I prefer more upbeat themes. Great artwork and the music, kept low, was not distracting. I really enjoyed the puzzles for once, they were not the same old/same old. The engine worked smoothly and the pace was brisk. The characters (human) were believable and the story was pretty tight. It's a good buy I think; check out the demo and see for yourself. Rated 5 out of 5 by skullfun from EIPIX LEADS THE INDUSTRY WITH EXCEPTIONAL EDITION TO H.E.L.P. SERIES Eipix goes full throttle with this edition of Hidden Expedition. The H.E.L.P. academy has been broken into and robbed. It seems that the burgler was interested in one particular thing from there - a map that is tied to a Norse artifact that has some immense powers that can lead to a catastrophe noone is prepared to, not even the Nordic gods. And the whole Norse myth is about the end of the world. Things get pretty hot as you try to find the one behind it. You are going ot have to travel around the world from Budapest to Greenland to figure this case out. There is also a bonus game where you follow a madman in Arctic mines. Eipix Entertainment really deserve to know that they did a great job with this game. The story is interesting and even informative as you travel from one place to another. The graphics are gorgeous and very detailed and the audios are excellent and well fitting the characters and the story. There are four modes of difficulty to choose from (Easy, Medium, Hard, and Custom). You can adjust your hints (10-120 seconds) and skips (10-400 seconds). A Map and a strategy guide is provided as you play to help you find your way to the very end of it. 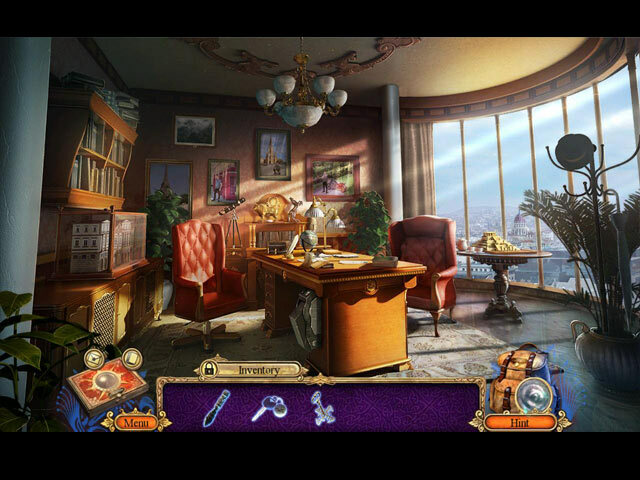 There seems to be a good balance between the hidden object scenes and the mini games. Both are very well thought through and seem to have something new to offer to those who have been in this genre for a while. They are also not easily solved, so the game may take quite a lot of time to complete. There is quite a lot to collect as you proceed: 43 Thor's Hammer signs, 20 H.E.L.P fact cards, and 15 morphing objects. There are also achievements and a souvenir room. You can also expect all the usual media extras, like concept art and wallpaper. All in all this was my favorite in the series, and I have played them all! Rated 5 out of 5 by wildlifecrusader from Great Expedition !! What a great game !! This is a a well designed , exciting game, great graphics, captivating story line, interesting Puzzles. No boredom here. I played the trial and I can't wait playing it to the end. This is really a fun game for all levels and all ages. Rated 5 out of 5 by mandms33 from I couldn't wait to buy this game! The storyline held my interest all the way through the demo. It is all about Norse Mythology which implies a lot of research went into the building of the storyline. The music is great and the visuals are very good. 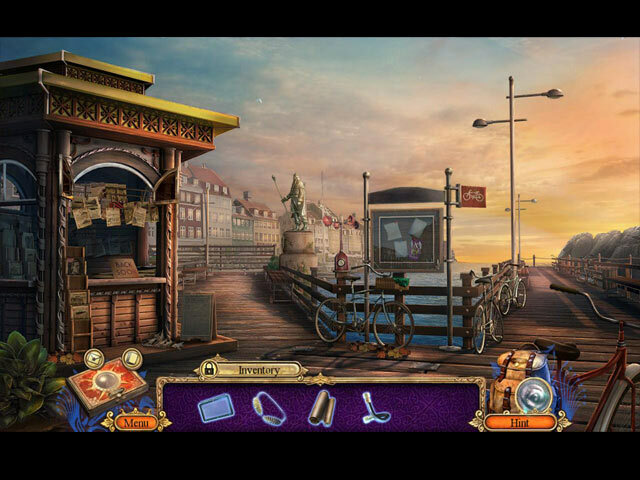 I am only a beginner with these hidden objects games, so I played the easy mode, but as I go through the whole game it gets better and better. I can't wait to see how it all comes together.